Are there any offline ordering options? How do I know that Gibson Farms received my order? What if an item I am ordering is out of stock? What shipping methods do we use? How long before my order arrives? Will you ship to a different mailing address? We gather this information to allow us to process your internet order. When you order from this website, we collect the following information: your name, telephone number, email address, products purchases, relevant promotion code (if applicable), and if relevant, the recipient’s name and address if being sent as a gift. This information is collected even if you cancel your order or do not complete and order. We used the information you have provided us to aide us in the processing of your order as well as inform you of offers or promotions on our products. Gibson Farms does not sell your personal information to third parties such as those who trade or rent information for direct marketing purposes. We may disclose any information you provide when we believe disclosure to be appropriate to comply with any law, regulation, or governmental request. Our website encrypts your credit card number prior to transmission over the internet through secure technology. 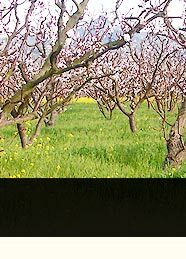 Only authorized personnel at Gibson Farms will receive your credit card information. However, no transmission of data over the Internet or any other public network can be guaranteed to be 100% secure. Although we make reasonable efforts to safe guard your personal information once we receive it, we cannot warrant the security of the information you transmit to us. We also have options to order through mail, phone, or fax. To Order by phone, please call Monday through Friday from 8am-5pm Pacific Standard Time. If after hours, please leave a message and we will return your call by the end of the next business day. 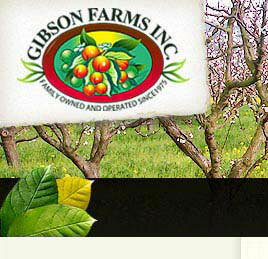 Our Address: Gibson Farms Inc.
We have a minimum order amount (for credit card) of $25 before shipping. We charge your credit card the day of shipment. If an item is out of stock, we will notify you withing 24 buisness hours to notify you when it will be back in stock. You can then cancel the order, reorder a different product, or backorder the item. Substitutions of equal or greater value may be made by Gibson Farms when necessary. Your confirmed order should ship between 24-48 hours from the time we receive your order unless otherwise specified. We use UPS Ground for orders within the Continental US. UPS Ground takes approximately 5 business days. If you would like to receive your items sooner we can arrange for quicker delivery in most cases. Please contact us by email or phone to inquire. Our order form will guide you through this process. However, we can only ship to one address per order: if you have multiple addresses to ship to, it will have to be processed as a separate, new order. Or you can call us over the phone and we can do it as one order. 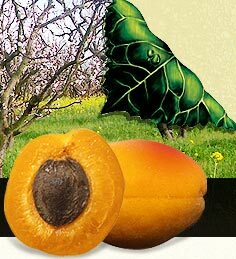 We do not take returns on our products due to the nature of the dried apricots and walnuts. Our Apricots and walnuts are processed in a warehouse where we cannot guarantee 100% that there will not be trace amounts of walnut oil on the product. Gibson Farms has no liability if you consume foods to which you are allergic. 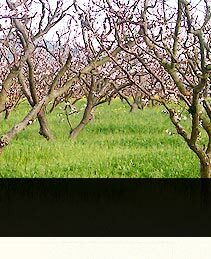 If you would like to update or correct information previously provided to us, please send and e-mail, with your new information to info@gibsonfarmsinc.com or give us a call at (831) 637-3512 and we would be happy to be of assistance.